The UAE economy is well on the road to recovery, one of its biggest boosters says. 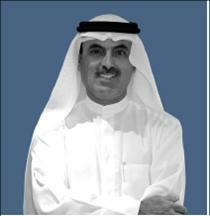 Abdul Aziz Al Ghurair, speaker of the house of the Federal National Council, the parliament in the United Arab Emirates, is a leading businessman in the country. He is president of the family-owned Abdulla Al Ghurair Group, which employs 65,000 people, and CEO of Mashreq, one of the UAE's leading banks. As one of the largest conglomerates in the region, the Abdulla Al Ghurair Group exemplifies the UAE's success in diversifying its economy, while still reaping big profits from its energy and petrochemical industries. "Trading is doing well," Al Ghurair says. "Our food business is thriving, thanks to rising personal consumption. Banking, insurance and financial services are growing, and cement is still at its peak," he says. "All of our businesses are doing extremely well, except for real estate and construction, which are flat." Dubai's property sector was hit last year by the global financial storm, but it has since bottomed out, Al Ghurair says. "Banks are back in the mood of lending selectively," he says. "But we don't like to see too fast of a recovery." The UAE's budget for 2009 is based on oil priced at $55 a barrel, so the rise to a six-month high of $70 a barrel in June was a nice gift, he says. The UAE government responded quickly to the global financial meltdown last fall, guaranteeing all bank deposits last October and creating a $19 billion rescue facility. The Dubai government's $10 billion bond sale in February 2009 to the UAE central bank has boosted confidence and demonstrated with absolute clarity that the country is united in the face of the challenge, Al Ghurair says. No strings were attached to the federal aid, and Dubai's business model has not been altered, he says. UAE banks have proven to be resilient during the global financial crisis, although market capitalization and share prices have fallen. The lower stock prices are unlikely to lead to a consolidation of the country's banking industry, Al Ghurair says. "Bank capital far exceeds international requirements, and the industry's 2.5% return on assets and 20% return on equity is the highest in the world," he says. "Mergers and acquisitions will only be done as the result of a strategic fit, and not because of opportunistic reasons," he says. Could the Dubai property slump have been avoided? "The UAE is an open economy," Al Ghurair says. "There was great confidence in our policies, and investors came from all over the world. We never thought the crisis could come from afar.We got hit by a storm," he says. "The good news is that we spent the money from the last oil boom on infrastructure and making sure that Dubai is a world-class place to live and work," he adds. "The money didn't go to consumption." The UAE pulled out of a planned Gulf monetary union after expressing reservations over a May 5 decision that Riyadh rather than Abu Dhabi should host the GCC Monetary Council, the precursor to a proposed joint central bank. Four members of the six-nation Gulf Cooperation Council-Saudi Arabia, Kuwait, Bahrain and Qatar-signed the long-awaited common currency agreement in June. Asked if the UAE would consider rejoining the planned monetary union at some time in the future, Al Ghurair says, "Before we get in, we have to agree on the principles and criteria. If we are not clear, then we raise expectations, and people build business plans, which could be a real problem if the monetary union does not succeed." The UAE was the second GCC country after Oman to abandon the single-currency project. "If everybody agrees, that's when the UAE will go in," Al Ghurair says. "The timing could be any time." Meanwhile, the UAE has stated that it will maintain the dirham's exchange-rate peg to the dollar. With $600 billion of foreign exchange reserves and sovereign investments, the UAE has considerable resources. The country's priority will be to invest in domestic infrastructure and education to create the right environment for growth, Al Ghurair says. "We will always have a surplus, however, which we will invest with the objective of receiving the maximum return," he adds. "We will invest in countries that have friendly regulations and a welcoming climate." Mashreq, a conservatively run and profitable bank, is often referred to as the crown jewel of the Abdulla Al Ghurair Group. "Mashreq is publicly traded and gets most of the exposure," Al Ghurair says. "But we are one of the most diversified groups in the region, and we have many crown jewels." The success of Mashreq is based on its constant focus on its core business, he says. "We take care of business and don't get distracted by the potential for a quick win," Al Ghurair says. "We are disciplined." Al Ghurair sits on the board of the Emirates Foundation, the philanthropic arm of the UAE government. He is a member of the governing council of the UAE Higher Colleges of Technology and a member of the Constitutive Council for GCC Leaders. He is also the chairman and founder of Masafi, the leading producer of bottled water in the Gulf, as well as chairman of RAK petroleum. The UAE economy, the second largest in the Middle East after Saudi Arabia, recorded growth in gross domestic product of 7.4% in 2008. The International Monetary Fund expects that to slide for the first time in 15 years in 2009, before rebounding in 2010. The recent rise in oil prices, however, is providing a boost to confidence, and early signs of recovery are already apparent, Al Ghurair says. The non-oil sector, which now accounts for more than 60% of the country's economy, will show positive growth this year and next, according to the IMF. Higher oil prices will give governments in the region, as well as the private sector and consumers, the desire and the means to keep spending, Al Ghurair says. One tangible sign of a marked return of investor confidence in the region is the number and success of recent bond issues, says Philippe Dauba-Pantanacce, Dubai-based senior economist at Standard Chartered. Dubai saw its credit default swap spreads widen to around 1,000 basis points in February, and by early June they were at half that level, he says. Dubai's property market is also beginning to stabilize, as mortgage providers are slowly easing their requirements and credit procedures have been relaxed, Dauba-Pantanacce says. "The first signs of stabilization in Dubai's real estate sector have appeared, taking observers by surprise, since further declines were expected," he says. According to figures from HSBC, agreed real estate prices in Dubai rose 4% in April compared to the previous month, and 5% in May. The apartment sector, which accounts for 85% of transactions, had a rise in prices of 9% in May. The end of the decline in prices is encouraging, Dauba-Pantanacce says, as it had a direct impact on the banking sector through higher defaults and non-performing loans.